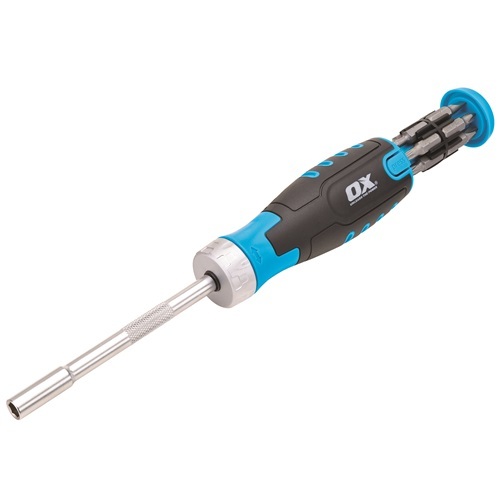 OX PRO Multibit Ratchet Screwdriver, high quality heavy duty multibit ratchet screwdriver. Easy access bit storage inside end of handle, chrome vanadium bits, lockable ratchet. Contains/3mm/5mm6mm slotted, PH1/PH2 Phillips, PZ1/PZ2/PZ3 Pozidrive and T10/T15 Torx.